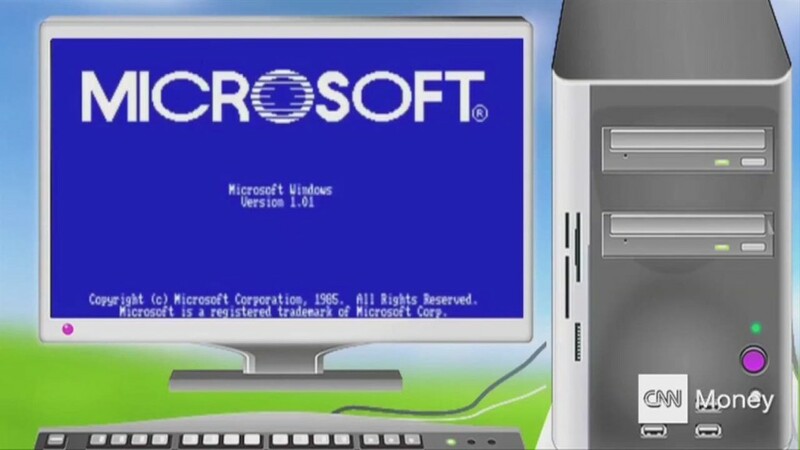 Meet the new and improved Windows. 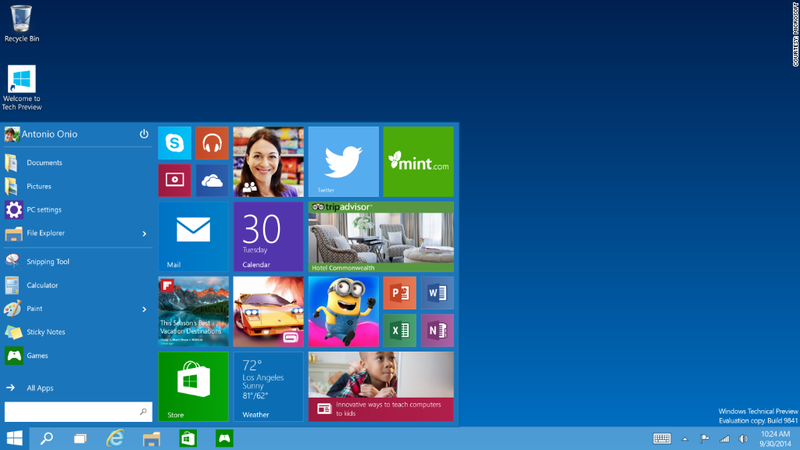 No, it's not Windows 9 -- Microsoft (MSFT) is going straight from Windows 8 to Windows 10. Microsoft showed off the latest version of its flagship operating system at an event in San Francisco Tuesday. It wasn't a complete unveiling -- Microsoft focused on a handful of features that will benefit business customers. 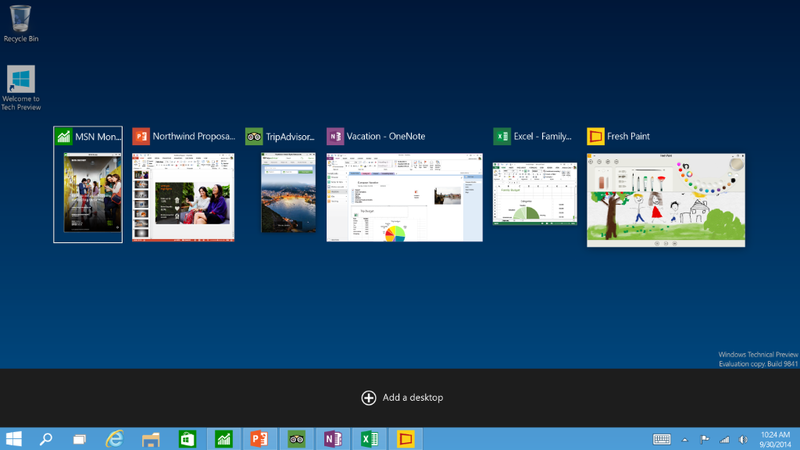 - Return of the Start menu. 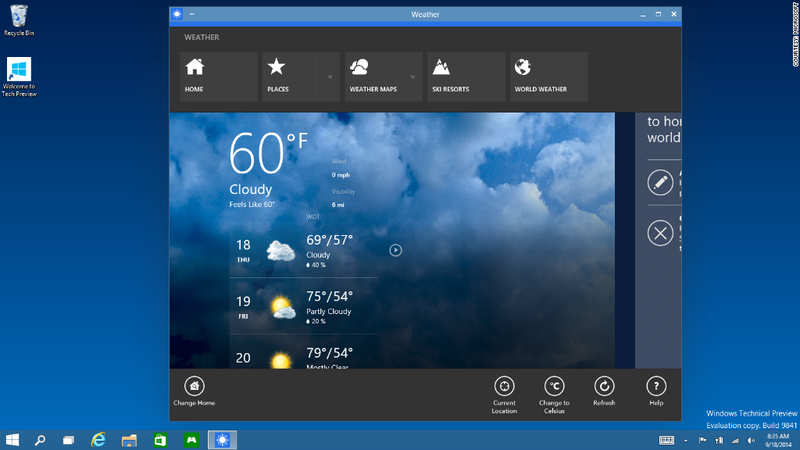 After being inexplicably removed from Windows 8, the Start menu is back, and includes a new personalizable space for favorite apps, programs and websites. - Apps in windows. 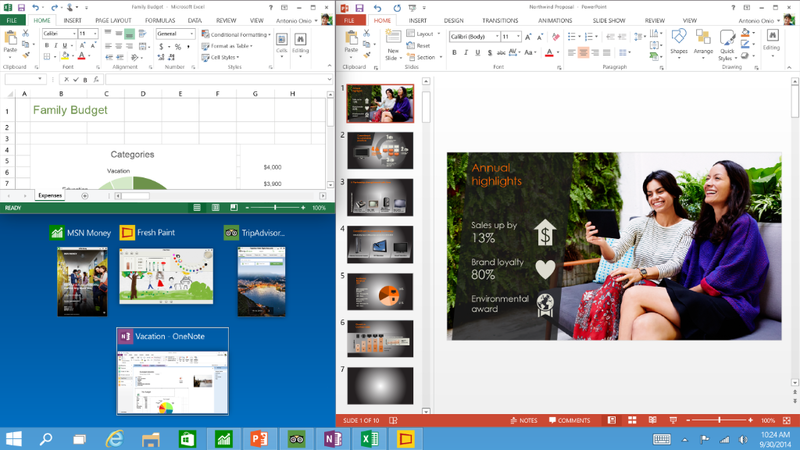 With Windows 10, Microsoft has standardized the format for apps from the Windows Store and regular desktop programs. Both now run in traditional windows that can be resized and minimized from the bar at the top. - Multiple desktops. A feature Mac users have enjoyed for years: the ability to create and swap between different desktops. - A soup-ed Snap. The "Snap" feature, which allows users to work on multiple apps at once from the same screen, has been redesigned with a new quadrant layout to allow for up to four programs at once. - New Task view button. A new button on the task bar takes you straight to a single screen that displays all your open apps and files (the old Alt + Tab trick). One noteworthy aspect of Tuesday's announcement was the revelation that Microsoft will allow business customers to choose specific Windows features to upgrade one at a time, rather than being forced to transition all at once from an older version. Windows 10 is a key part of new CEO Satya Nadella's effort to position Microsoft as a "mobile-first, cloud-first" company with a particular emphasis on productivity software. The goal is to make products like Office, Outlook and Skype staples for individual customers regardless of the device they're using, and to transform Windows from a desktop operating system to cloud computing platform that can be accessed from anywhere. Microsoft says Windows 10 "will run across the broadest range of devices ever," from consumer products like PCs, tablets, Xboxes and phones to enterprise data centers and "Internet of Things" connected devices. There will be just a single app store for all these formats, and Microsoft says it will be possible for developers to write an application once and then deploy it across device types. The company didn't provide a timeline for when it would announce new consumer-focused features, let alone when Windows 10 would be available to the public. 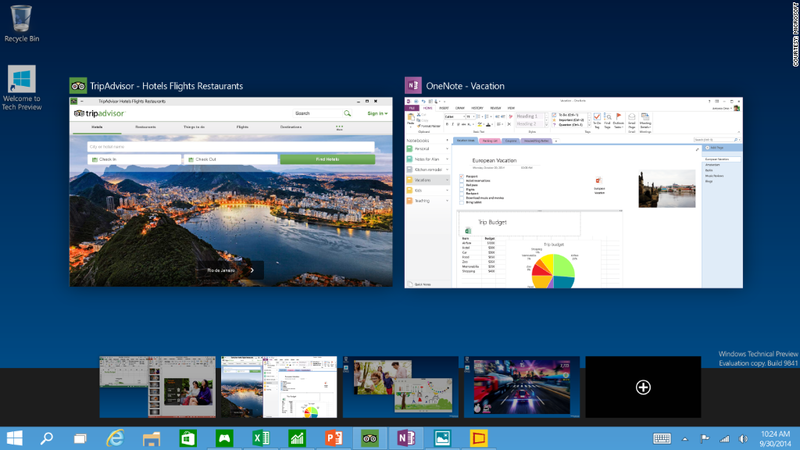 Microsoft typically shows off Windows features incrementally to customers to try them out and provide feedback.